Here's a scenario – It's a Monday night, you just come home from work and you want to unwind. Everybody on your Twitter timeline is raging about a new reality TV show, so you turn on your television (or your illegal live-stream) and start watching it. But something's different about this. The women aren't fighting, screaming at or belittling each other. Photo: Giphy Admit it, you probably laughed out loud at this scenario because seeing positive images of ourselves on TV is out of the ordinary. It's 2016 and we're still fighting to see a diverse representation of black men and women in both television and film. Photo: Wittle Gif This is a cause that Brooklyn-native and Agnes Scott-alumna Asha Boston is trying to aid. Her documentary series The Dinner Table creates a new perspective of black women that doesn't "condemn their character," but celebrates both "their tapped and untapped potential." It doesn't end there. She's taking her documentary into classrooms with the "Let's Do Dinner" series, and it's changing the lives of black girls around the country. 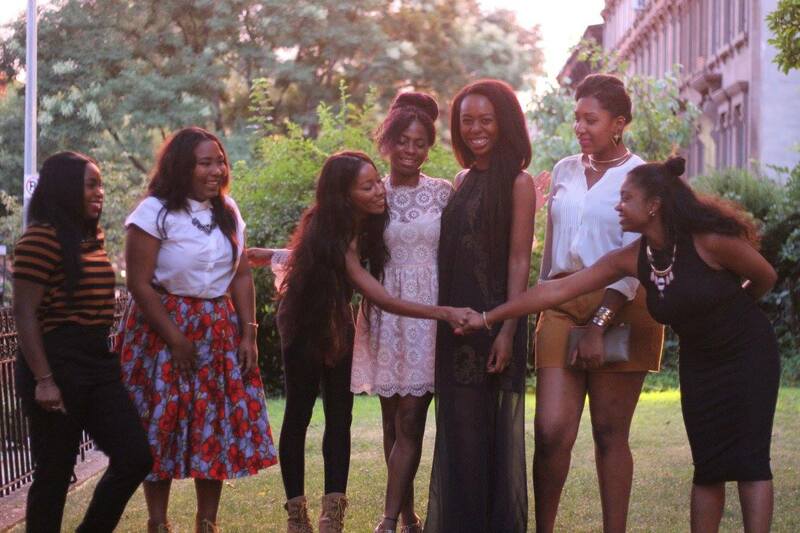 We spoke with Asha to learn more about how she's building this platform to reach young women. Blavity: Can you tell us about the dinner? Asha Boston: “Let’s Do Dinner” is the documentary in event form. 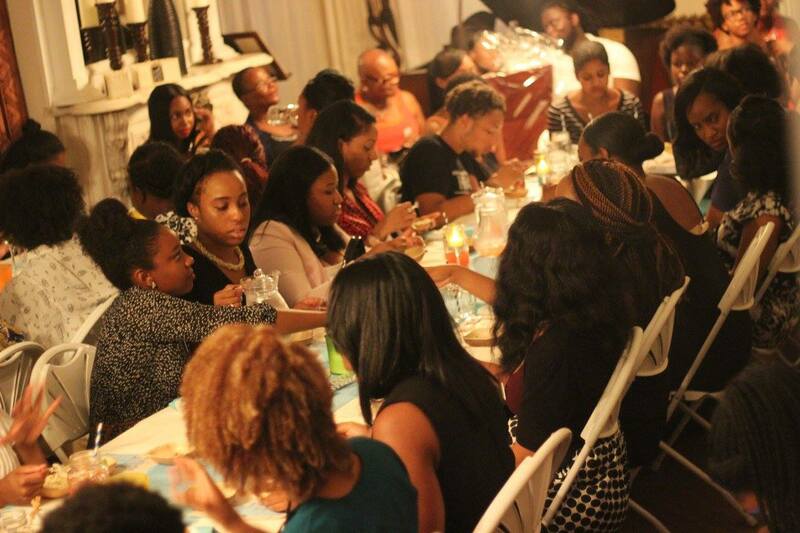 We rent out a space and create an intimate dinner experience for high school students, college students and professionals to network and empower each other. The dinner provides a safe space (not just for young black women but anyone who attends) to be your most vulnerable and authentic self while networking and engaging in through provoking conversations about identity and success. Where else can you sit across the table from a C-Suite executive or celebrity publicist and trade stories about the moment you realized that it was okay to be black, and then be both black and successful? Photo: Asha Boston B: What kind of impact have you seen? AB: It’s a powerful exchange. We don’t seat our professional VIP guests separate from everyone else; we actually mix them in with the crowd by placing a few at each table. In our house, everyone is VIP. You deserve quality not just in terms of your meal but also in conversation and dinner experience. Everyone comes in expecting to grab a few inspirational quotes for Twitter and a picture with someone influential for Instagram, but at the end of the night, everyone leaves feeling empowered, powerful and full. B: Why is this work important? AB: The work is not only important, it’s integral – it must be done. "The Dinner Table" is a light bulb and a bridge. For young women (especially young black women) who don’t have access or opportunity and resources, it sets off a lightbulb and allows them to explore all that the world has to offer. It motivates them to reach their fullest potential and explore careers they didn’t even know existed. For those who have it figured out, it provides an extra boost of confidence and a new opportunity for networking. The Dinner Table is even using social media to fight for this cause. They're not done yet —a second documentary is on the way. The Dinner Table, Part 2 features "Arnelle Nonon, an African-American Korean Pop singer and Ingrid Silva, a company dancer for the Dance Theatre of Harlem," alongside young black women from Brown’s United League of Black Women. The women share "their honest truth about their black experience," which will surely make for a nice celebration of #blackgirlmagic. Asha premiered the documentary at L’Oreal’s headquarters on April 27th for their NY Coalition of One Hundred Black Women Role Model Week. 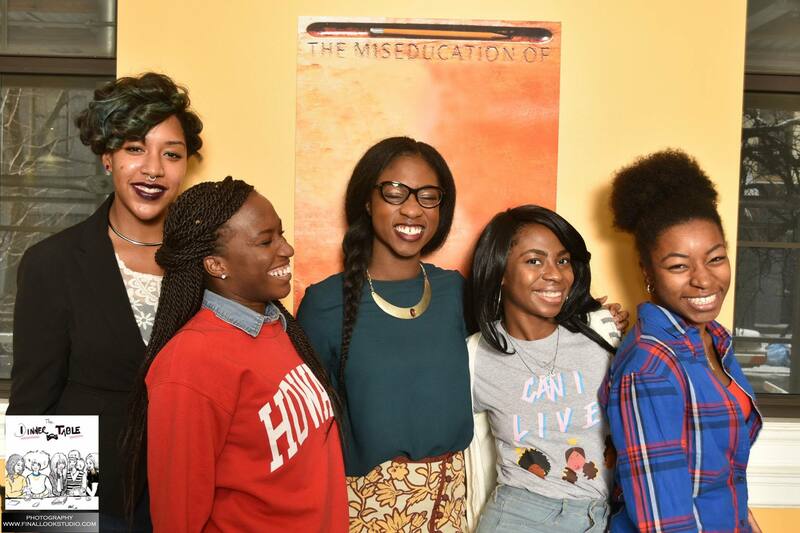 Asha and her work epitomize #blackgirlmagic in so many ways. What do you think about the work that she's doing? Share with us below. For more information about The Dinner Table documentary, and to get involved visit their website, thedinnertabledoc.com.